Attendance limited to first 80 people. We will maintain a waitlist in the event we reach capacity. Click on the "Join/Renew" link on the main menu options at the top. Sign up as a new member, then return here and use the category "Members" above. GOPS members (and one guest per member) are invited to attend a Member Appreciation Pool Party on Sunday August 6, 2017, 11:00 am – 3:00 pm. Each member and guest will be entered in a drawing for raffle prizes! The lucky winners must be present to win. 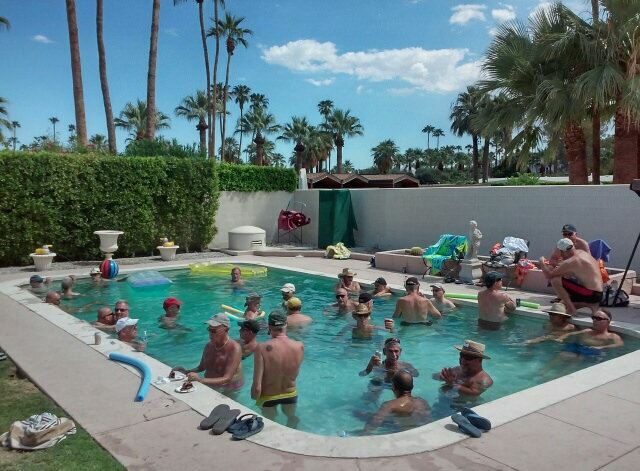 This pool party will be at a member's residence in Cathedral City. The location will be announced only to those who register for the event. Lunch will be provided along with snacks and beverages (sodas and water). We will serve sandwiches and salads from Firehouse Subs. Directions: To be announced to those that register for this event. Naked Policy: This event is not a clothing optional event. Please read our policy at - click here.